With over a century's worth of shoe making experience, it comes as no surprise that Superga proclaims it to be the 'people's shoe of Italy.' 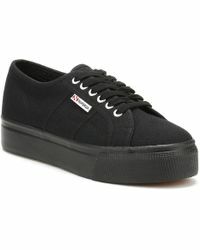 The classic Superga 2750 is the heritage style that started it all. The low cut sneaker balances a perfect mix between elegant sneaker and relaxed beach wear. The variety of colours and patterns that Superga offers will easily compliment any ensemble. 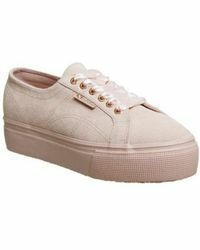 Whether you're dressing for streetwear or dressed down formal, a pair of Supergas will easily accentuate your standing literally with comfort and figuratively with proven craftsmanship knowledge.